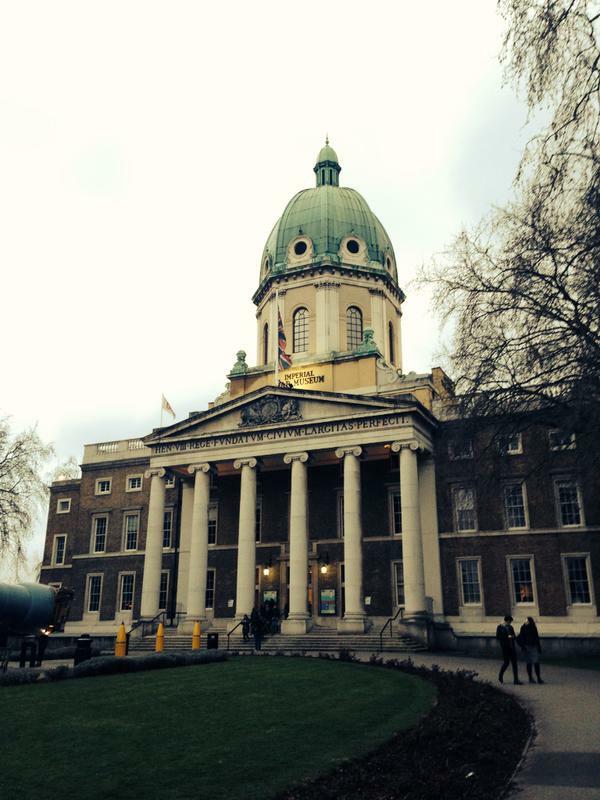 I spent Friday and Saturday at the Institute for Historical Research in Senate House and the Imperial War Museum, respectively. My first time back in both of those places since their recent refurbishments and my first academic conference in *cough* four years. I couldn’t have asked for a better way back into the fold than 2 days discussion topics near and dear to my heart, and it’s a relief to be done with my PhD so now I have time to do fun things like this. My paper was on importing London to the fronts via geography and popular culture, and I’ll do a post on it later. For now I just want to record some things I was struck by, how things have changed so much since I started going to academic conferences (and since I stopped). I remember the first military history conference I went to as a first year PhD student. I was one of about 5 women in a room full of probably 60 men, and I was also the youngest person by about 20 years. I was terrified and, quite frankly, bored. This conference could not have been more different. By and large the focus was on social and cultural history. It was a real mix of men and women, old and young. Everyone from PhD students to eminent historians. And a quarter of the presenters were Quote/Independent Scholars/End Quote, like me. I was worried I might not get taken seriously because I don’t have an academic job, but my worries were unfounded. It was a wonderful two days of exchanging knowledge, and I came out of it with some new friends and a lot of ideas. It was also the first conference I’ve participated in where social media played a big part. Admittedly I was the one tweeting the most (I found tweets the perfect way to distill what I found most interesting about the papers and hoped it would be useful to those who’d been unable to attend) but it was great to see what other people picked up on and get a bit of dialogue going. I made a storify of all the conference tweets and I think it provides a pretty good overview.